After having critically acclaimed productions in 2016 with Don Giovanni and in 2017 with The Marriage of Figaro, Eternity Opera Company returns with two productions for 2018. A concert performance of Monteverdi’s 1607 opera Orfeo in August and a fully staged production of Puccini’s 1903 masterpiece Madam Butterfly from 16-24 November. Eternity will stage a concert performance of Claudio Monteverdi’s Orfeo in Wellington on 4 August. Based on the Greek legend of Orpheus, Orfeo tells the story of his descent to the underworld and his fruitless attempt to bring his dead bride Eurydice back to the living. Now over 400 years old, Orfeo has lost none of its beauty and power and is a milestone in the evolution of opera. The Eternity Opera Company brings opera productions to Wellington audiences that can be enjoyed by everyone – from opera novices to aficionados. After a successful round of auditions in the past month drawing singers locally and internationally, the company is excited to announce the cast of Orfeo. Leading the cast in the title role is William King. Audiences will remember him from last year’s production of The Marriage of Figaro, where he played Count Almaviva to great acclaim. His bride, Euridice, will be played by Alexandra Gandianco, who played Gold-Spur the Fox in the New Zealand School of Music’s 2017 production of Leoš Janáček’s The Cunning Little Vixen. A number of Eternity Opera alumni return to Hannah Playhouse: From last year’s Marriage of Figaro production, Laura Loach will sing the role of La Musica who will herald the start of the performance as the Spirit of Music; Olivia Sheat will play both the Nymph in Act 1, and Proserpine in Act 3, and Alexandra Woodhouse-Appleby will play the messenger. Audiences will also have the chance to see fresh and exciting talent that Wellington can offer. 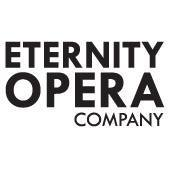 For a comprehensive cast list, visit the Eternity Opera Company website www.eternityopera.co.nz. The production will be performed in English and with the Eternity Chamber Orchestra, conducted by Simon Romanos. More information on the second production of this year’s season Madam Butterfly will be announced soon. Original generation time 1.6288 seconds. Cache Loaded in: 0.0004 seconds.